There has been a lot of behind-the-scenes activity around here the past month and a half. In early January we looked at a house for sale about 16 miles up valley from our present location, after hearing about it from some friends who live on the same road. To keep the story short, we immediately knew it was perfect for us in almost every way, and made an offer that was accepted after some negotiating back and forth. The sale closed this last Monday, Feb 22, and now we are embarking on the transition of home and shop to our new home. 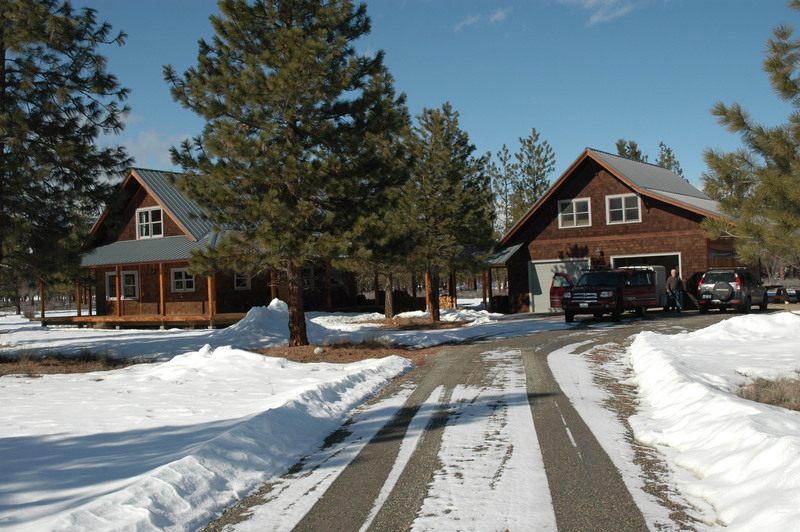 It was our long-range plan to build a modest sized, energy efficient house here at Benson Creek, starting about now (2010). As the time approached, though, we felt daunted by the task and somewhat unpredictable expense involved. Last summer we decided to start looking around for an alternative before committing to the process of building here, figuring “what’s the hurry” and that it might take a couple of years before we could make a final decision about moving rather than building. So we are almost as surprised as everyone else! The house is about 10 years old and was never completely finished (due to a divorce) – mainly interior finishes and things that we can easily handle. It was constructed by the owner’s ex-husband using SIPs (structural insulated panels) and is extremely well-insulated. I’ll post more as things move along, but now I have to get up there and do some painting! How very exciting!! Congratulations on your new home; I know you will make it into a lovely place uniquely yours. Congratulations on the new house. I missed seeing you at Madrona and look forward to hearing how the spinning retreat was.